**International bestselling author Ethan Jones returns with The Secret Cause, the third gripping suspense novel in the spine-tingling Jennifer Morgan Suspense Thriller Series. If you like a novel that’s clean, full of action, suspense, and with a touch of romance this series is for you. When newly-minted PI Jennifer Morgan is assigned an apparently simple case of a missing person, she has no idea what she is getting herself into. After international assassins place her in their crosshairs, Jenn suspects the involvement of cut-throat Chinese corporate spies. 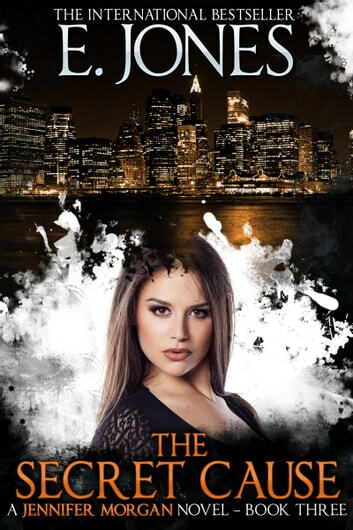 As her relationship with her handsome fiancé, an NYPD detective, is facing an uncertain future, Jenn realizes she needs to tell him the whole truth about her intimacy fears. But will he accept Jenn with all her fears and imperfections? And how does his investigation of a case of technology theft tie into Jenn’s missing person case? What will Jenn and her fiancé have to do to save their relationship and their lives? An impossible-to-put-down, adrenaline-filled adventure, that will leave you breathless. Fans of Catherine Coulter, Lisa Jackson or Sandra Brown will love this electrifying story of espionage, passion, and love. Scroll up, click and get lost in the fantastic, fast-paced world of Jennifer Morgan now!